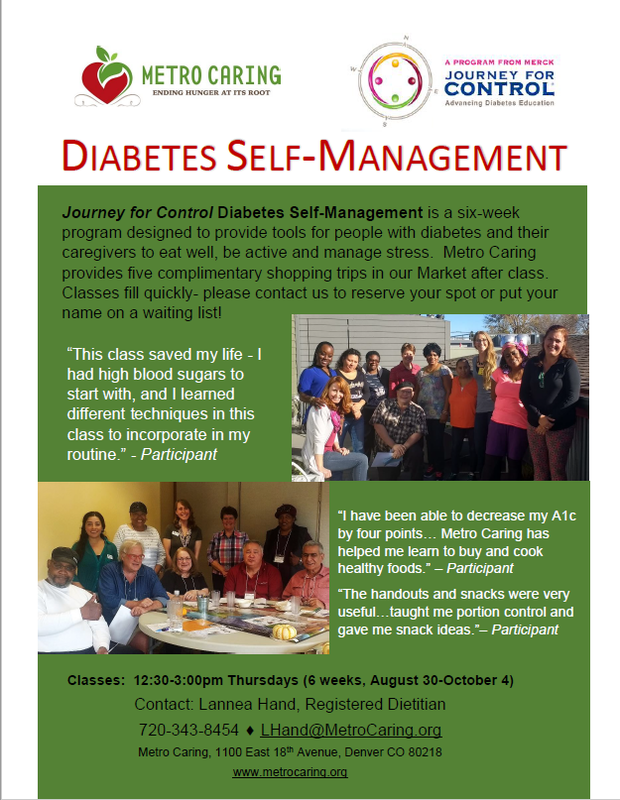 Journey for Control Diabetes Self-Management is a six-week program designed to provide tools for people with diabetes and their caregivers to eat well, be active and manage stress. Metro Caring provides five complimentary shopping trips in our Fresh Foods Market after class. Classes fill quickly - please contact Lannea Hand at 720-343-8454 or [email protected] to reserve your spot or put your name on a waiting list!